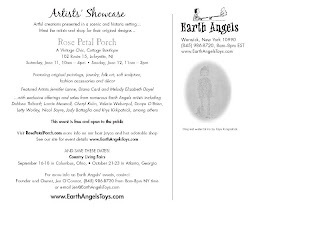 EARTH ANGELS: Say "YES" to more...our next event in 2 weeks!!! Say "YES" to more...our next event in 2 weeks!!! 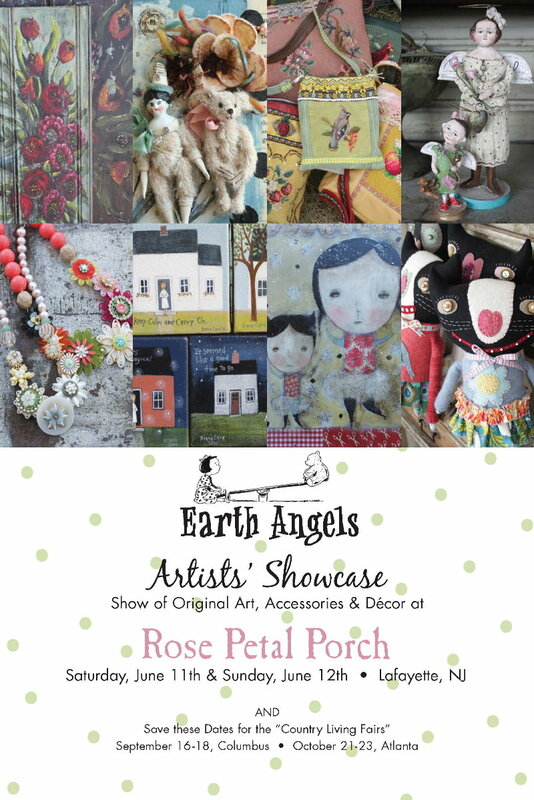 ARTISTS' SHOWCASE at "Rose Petal Porch"
We'll be at Joyce Meehan's totally adorable, cottage chic boutique in Lafayette, NEW JERSEY (that's about 30 minutes south of Warwick, NY). 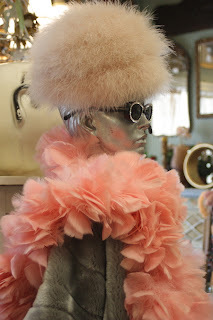 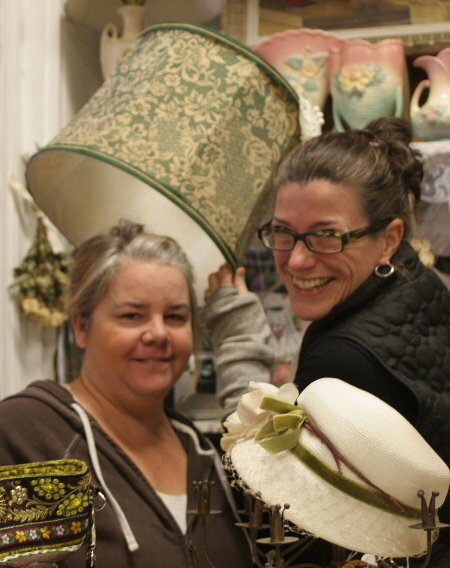 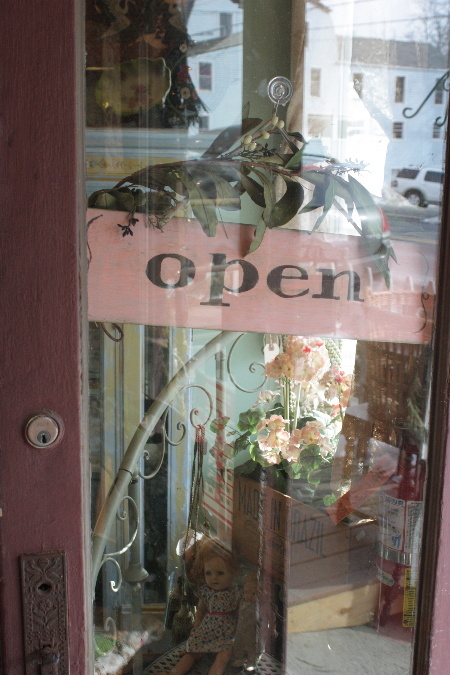 This town is a great day trip destination with uber cool antiquing, a great little cafe. (Don't even get me started on their French onion soup or their pie). 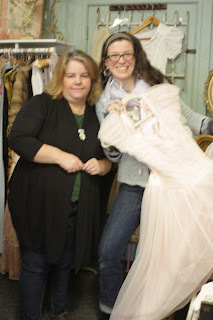 We hope you can join us as co-hosts for our distinct brand of artful, and oh so vintage-fueled fun! 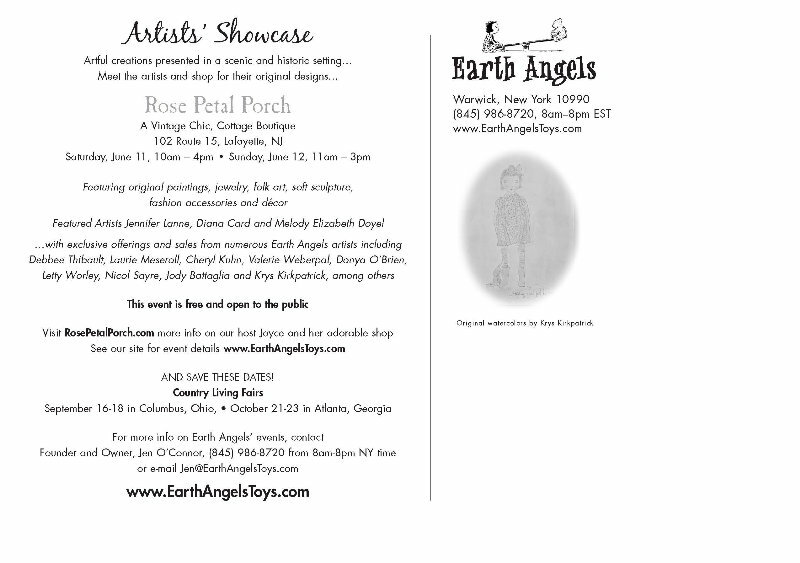 Oodles of new art from the Earth Angels artists and more great loot will be on display and a great group of artists will be in attendance....Jennifer Lanne, Letty Worley, Diana Card, Melody Elizabeth Doyel, Sue Parker and Laurie Meseroll...among others! So come spend the day with us...and Ingrid, too(she is Joyce's resident mannequin mascot and sge says, "Don't miss our event dahlinks". 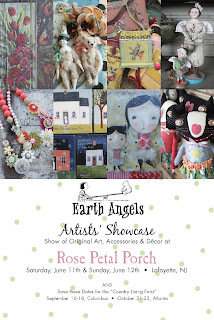 Stay tuned for more sneak peeks on our plan for this festive gathering and I sure do hope to see you there!